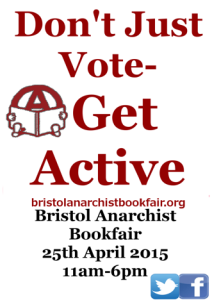 The 7th Bristol Anarchist Bookfair will be on Saturday 25th April 2015 at The Trinity Centre. If you want to get a stall at the 'early bird' discount rate you should do so by 14th February. As part of the bookfair Bristol Radical History Group will again be running the Radical History Zone hosted as usual by Hydrabooks, just down the road from Trinity. The programme for the RHZ is being finalised and will be published when all the speakers have been confirmed. 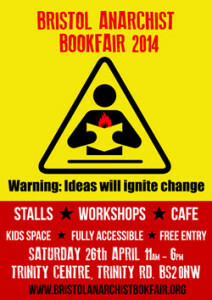 At this years Bristol Anarchist Bookfair BRHG will be running the Radical History Zone. As well as a selection of book stalls from history groups and local publishers there we will also be hosting a series of talks. 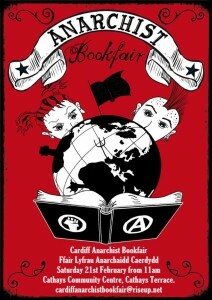 Bristol Anarchist Bookfair is on Saturday 11th September 2010 at Hamilton House on 80 Stokes Croft, Bristol, BS1 3QY. Click here for the full Radical History Zone line-up.